Try Vegan: PBJ Saves the Day! | This RD Eats! Try Vegan: PBJ Saves the Day! So, we made it through Day 1 of the Try Vegan challenge. Lunch went surprisingly well considering I hadn’t gone shopping yet and had to use bits of random vegetables I had in the fridge. 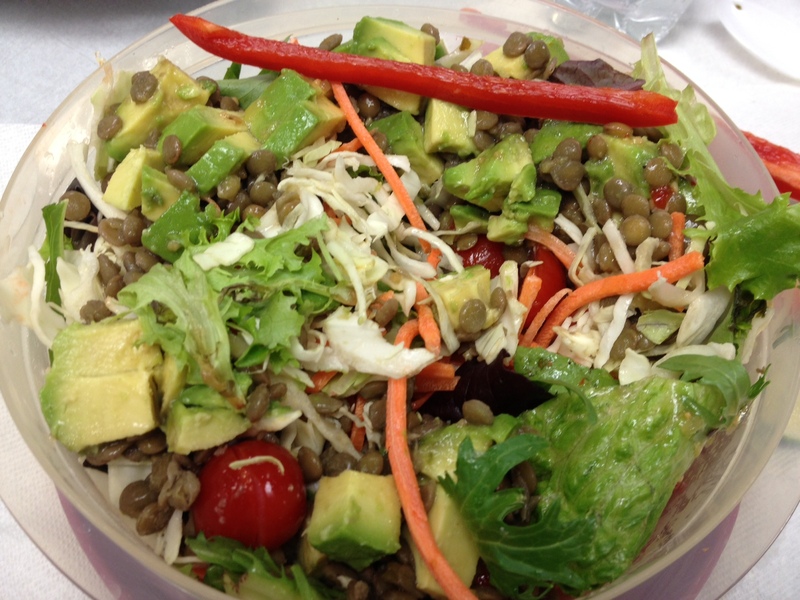 I cooked up a small batch of dried lentils and ate a delicious salad that was the envy of the breakroom. 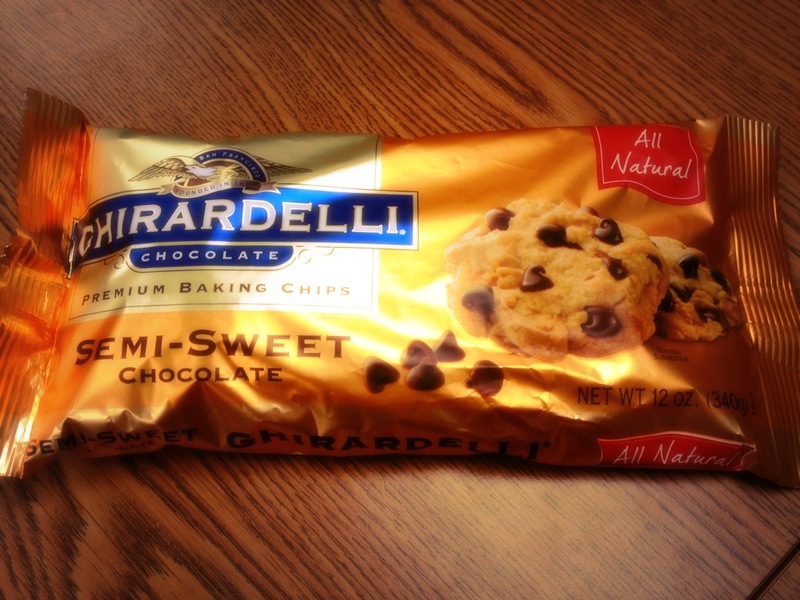 Snacktime consisted of a handful of almonds and a few Girardelli semi-sweet chocolate chips (the only kind of chocolate I could find that didn’t have dairy). Supper was the big doozy. I admit, that I clearly overplanned our meal. A fear that I had with vegan menu planning was that I would be hungry. (Don’t ask me why, maybe it was the thought of being so limited with foods). So, for our first vegan meal I planned Lettuce Wraps with Hoisin-Mustard Tofu, Unfried Rice and Sushi-Roll Edamame Salad with a homemade dressing (all from Appetite for Reduction). Phew! That was a lot of food and WAAAAAAAAY too many recipes to try to roll out on a worknight. In all, there were 4 separate recipes which just ended up stressing me out. 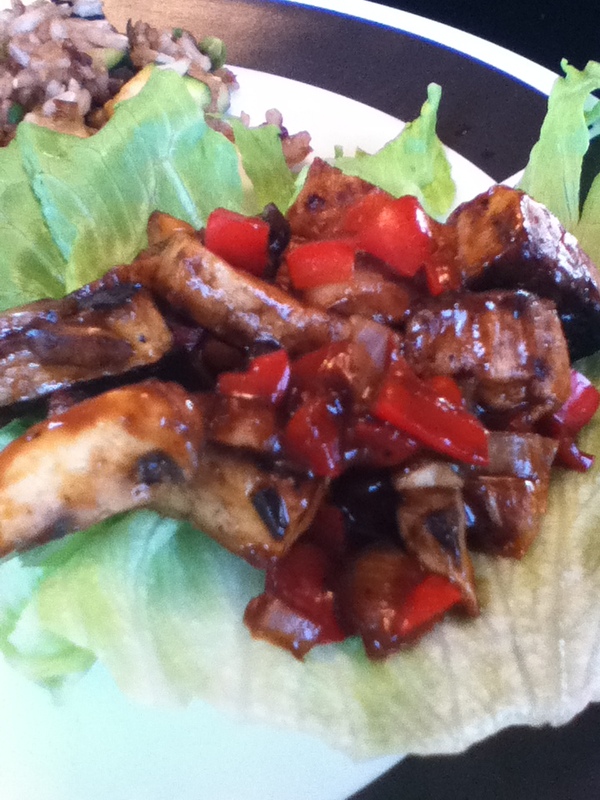 I had high expectations from the Lettuce Wraps with Hoisin-Mustard Tofu because I make a similar chicken-containing dish (Chicken Lettuce Wraps) that we really love. I will admit, I have only ever used tofu 2 other times. Once in a stir-fry that was quite lackluster and another time in a dip that had me grabbing the nearest glass of water. But in the spirit of really giving this “vegan-thing” a try, the tofu came out. The Unfried Rice was good. A little bland, again, but nothing a couple dashes of low sodium soy sauce couldn’t solve. Everyone ate all of their rice and I even went back for seconds. YUM! The Sushi-Roll Edamame Salad was a deconstructed sushi roll. 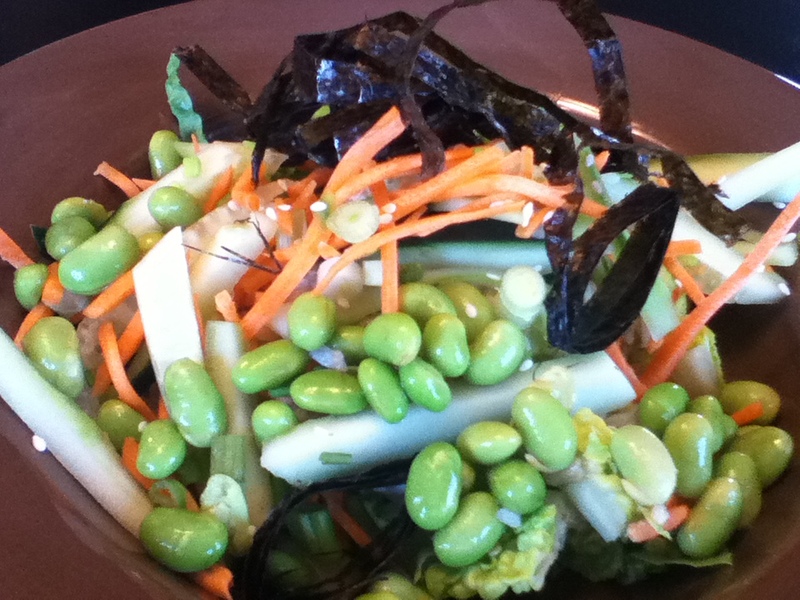 It had edamame, rice, lettuce, nori, vegetables and a homemade green onion dressing. I thought that this sounded great, but found that the 3 cups of green onions that were used in the recipe overpowered everything. Plus, we had a big salad for lunch so the thought of chewing more raw vegetables had my stomach in knots. Husband: “I give this a C-“. Daughter” “Mom, you take it, I don’t want it”. Me: “My jaw hurts from chewing so much and my eyes are burning from the onion”. So, here’s an overall rating of how supper went. My son and daughter each filled up on string cheese and sweet mini peppers. My husband and I each ate most of our food then topped it all off with a good ol’ PBJ sandwich! Each of the recipes used many of the same ingredients: green onions, garlic, and fresh ginger. So I think we were a little “flavored-out”. Last night’s meal reminded me of another meal my husband and I cooked when we were in high school. We both grew up in the same small town and filled out time creatively. We both like to cook and decided that one afternoon we would prepare a meal for my husband’s parents. It was summertime and we thought that potato salad sounded great and so did tuna salad sandwiches. But my husband (boyfriend at the time) had a craving for deviled eggs too. We had all afternoon so they all made the list. We were very excited about how everything turned out. That is until we all sat down and ate our feast of mayonnaise. Individually each recipe was delicious, together, it all turned in to rich and creamy blob. So maybe last night’s supper was just too much of a good thing. This entry was posted in Meal Planning and tagged go vegan, Try Vegan, Vegan, Vegan Challenge, vegan cooking, vegan disasters. Bookmark the permalink. 3 Responses to Try Vegan: PBJ Saves the Day! 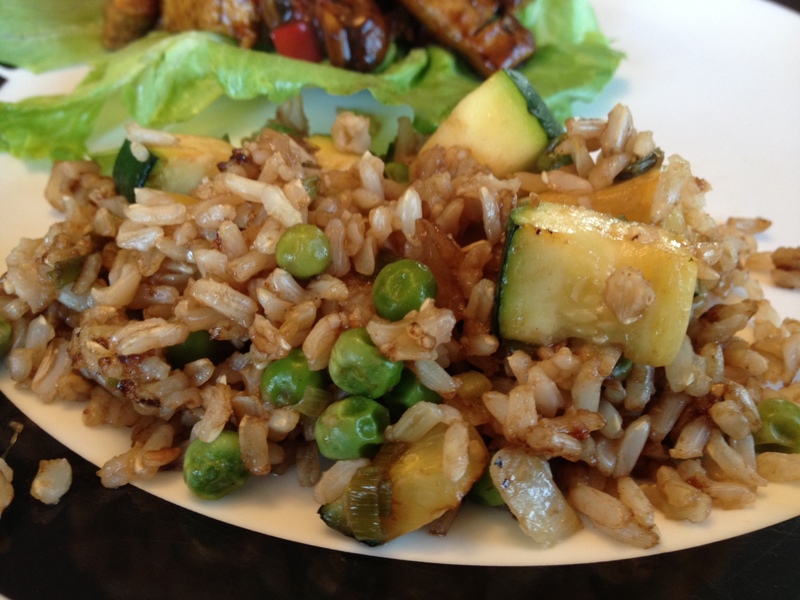 Pingback: Try Vegan: To Tofu or not to Tofu | This RD Eats! I looked at your menu and meant to warn you—- those are really time-consuming recipes! I did the same thing a while ago with the sushi roll salad! After I was done making the dressing I was out of energy! 😉 Keep at it! I know by the end of the week you and your family will have tried at least one recipe you will want to make again and may even become a family favorite! Thanks! I looked at the prep for each recipe before choosing them and they were each only 15-30 minutes. Not bad when making only 1 recipe. Throw 4 NEW recipes in the mix and it was just too stressful!